AUH - frequencies increased from daily to 9 times per week. KWI - all flights suspended. DXB - frequencies reduced from double daily to 11 weekly. RUH - capacity reduced from 4 weekly B 773 to 4 weekly A 333s. Swiss has officially announced that it shall be launching new nonstop flights to PEK-Beijing, China effective 11FEB 2012 to capitalize on the growing business and tourism traffic that is being witnessed out of Western and Central Europe bound to/from China. LX shall be using an Airbus A 340-300 to operate this service on a daily basis. LX also confirmed that it will be increasing capacity on its ZRH-EWR (Newark) route from the on set of the IATA S12 season by replacing its daily nonstop service operated a B 737BBJ with a larger Airbus A 340-300. TG - total of 507 seats in a 3 class configuration i.e. 12F/60J/435Y. CZ - total of 506 seats in a 3 class configuration i.e. 8F/70J/428Y. GRU - frequencies to be increased from 4 to 5 weekly nonstop flights using a B 773ER. HKG - frequencies to be increased from 6 weekly to daily nonstop flights using a B 773ER. CAN - frequencies to be increased from 3 to 4 weekly nonstop flights using a B 773ER. KUL - capacity increased from triple daily B 773s to daily A 380 + double daily B 773s. CAI - frequencies increased from 12 to 13 times per week using B 777s. MXP - capacity increased from daily A343 + daily B773 to double daily flights using a 3 class configured B 773 only. TUN - frequencies increased from 5 to 6 times per week. FCO - capacity increased from daily A 332 + daily B 773 to daily A 380 + daily B 773. KRT - frequencies increased from 4 to 6 times per wee using A332s only. Air France has officially announced that it shall be reducing its frequencies to MIA-Miami, USA for the IATA W11 season. Currently, AF operates a daily nonstop flight out of its CDG-Paris hub using a Boeing 747-400, however this shall be reduced to 6 times per week using the same aircraft type for the entire W11 season. Oman Air has officially announced that it will be majorly increasing its presence in Bahrain and Doha from the on set of the IATA W11 season. Frequencies to BAH shall be increased from triple daily to 31 weekly with flights being operated using E75s. DOH on the other hand also gets a frequency increase from triple daily to 5 times daily with flights being flown using a mixture of E75s and B 738s. Jetblue has officially announced that it has struck a deal to sell 11 of its yet to be delivered factory fresh Embraer E190 aircraft in 2013. B6 ordered 46 E90s few years ago and took delivery of 35 of them. With the carrier recently also ordering many more A320NEOs and converting existing A320 orders to A321s, the carrier does not seem to require additional E90s for its long term growth. 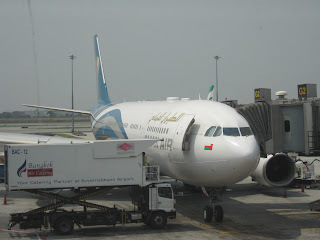 Egypt Air has officially announced that it shall be increasing frequencies to CAN-Guangzhou, China effective 01OCT 2011. Frequencies shall be raised from the current 4 to 5 times per week nonstop using a Boeing 777-300ER for all the flights. YOW/FRA - frequencies increased to 6 times per week using a B 763ER. YYZ/CPH - frequencies reduced from 4 to 3 times per week using a B 763ER. 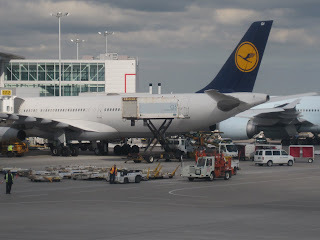 YYZ/PVG - capacity reduced from daily B 773ER to daily B 772LR. YYZ/TLV - frequencies reduced from 4 to 3 times per week using a B 763ER. YYZ/NRT - capacity increased from daily B 772LR to daily B 773ER. YUL/BRU - frequencies increased from 4 to 5 times per week using a B 763ER. YUL/FRA - capacity reduced from daily B 773ER to daily A 333. YUL/GVA - frequencies increased from 4 to 5 times per week using a B 763ER. EVA AIR of Taiwan has officially announced that it has placed a multi billion dollar order with Boeing and Airbus combined as part of its network expansion and fleet replacement strategy for the next 3 years. BR confirmed that it has ordered 15 Airbus A 321s + 10 new Boeing 777-300ERs. 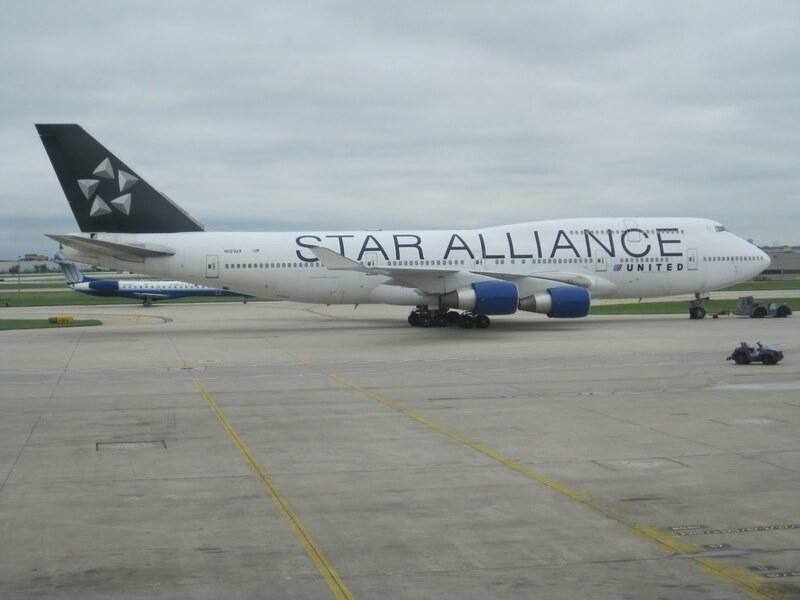 These 2 aircraft types are expected to gradually fully replace its aging B 744 and MD90 fleet. 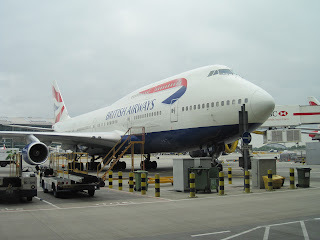 LAX - frequencies to be increased from 3 to 5 flights per week effective 31AUG and then further increased to daily using B 773ERs from 02APR 2012. 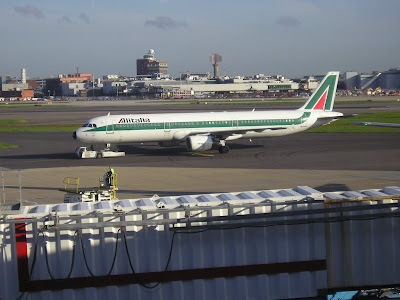 IAD - frequencies to be increased from 5 to 6 flights per week effective 30OCT and then further increased to daily using A 332s from 02APR 2012. ISB - new 3 weekly nonstop flights to be launched effective 21JUL using a B 738. TBZ (Tabriz, Iran) - frequencies increased from 5 weekly to daily flights effective 18JUL. Airbus has officially announced that it has secured 2 important orders from Far East Asia this week for its Airbus A 330-300 model. It announced that Garuda Indonesia signed up officially for 4 additional A 333s and Singapore Airlines signed to lease 15 additional A 333s primarily as a stop gap capacity measure due to the delay of its A 359 delivery schedule. BRU - new 3 weekly nonstop flights to be launched effective 17NOV using a B 772ER. CPH - frequencies to be increased from daily to 10 weekly nonstop flights using a B 744. 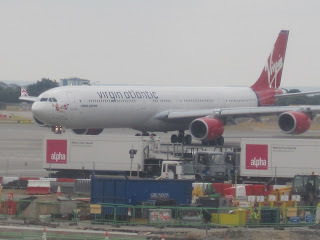 MXP - capacity to be increased effective 01JAN 2012, with all flights being operated with A346s instead of A345s. ZRH - new 4 weekly nonstop flights to be launched using an A 332 effective 30OCT. FRA - frequencies increased from 7 to 9 weekly flights using an A 332 six times per week and an A 333 three times per week. BKK - frequencies increased from 8 to 12 times per week using an A 332 only. CDG - capacity increased with all flights being operated with A 333s rather than A 332s. Finnair has officially announced that it will be launching a new long haul route to China to a city called Chongqing in southwestern China effective 09MAY 2012. Services will be operated nonstop 4 times per week using an A340-300. MXP/JFK - frequencies increased from 4 to 5 times per week using an A 332. FCO/GIG - frequencies increased from 4 to 5 times per week using an A 332. FCO/YYZ - frequencies increased from 5 to 6 times per week using an B 763ER. 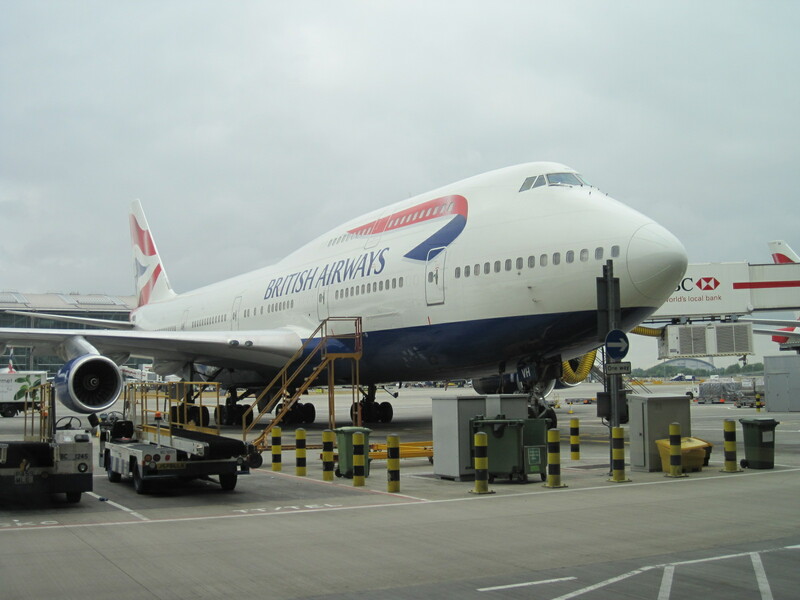 MIA - capacity increased from daily A346s to daily B744s. LAX - frequencies reduced from double daily to 12 weekly. HAV - frequencies increased from 2 to 3 weekly flights using a B744. NBO - frequencies increased from 6 weekly to daily. KUL - services restored with a daily flight operated via BKK using a B 773ER. ACC - frequencies increased from 3 to 4 times per week. AMM - frequencies increased from 17 weekly to triple daily. DOH - frequencies increased from daily to 10 times per week. JED - frequencies increased from 4 to 5 times daily. JNB - frequencies increased from 5 weekly to daily. LOS - frequencies increased from 4 to 5 weekly. DMM - frequencies increased from 10 to 11 times per week. KWI - frequencies increased from 10 to 11 weekly nonstop flights. JFK - frequencies increased from 3 to 4 times per week versus W10. All flights to be operated in W11 using an A342. MCT - frequencies reduced from 4 to 3 times per week. CMB - frequencies increased from 3 weekly A 310-300s to 4 weekly nonstop flights using an A342. DEL - frequencies reduced from 5 to 4 weekly flights using an A319. KRT - frequencies reduced from 6 to 5 weekly flights. Kuwait Airways has officially announced that it has been granted additional access to Saudi Arabia with 5 extra weekly frequencies allocated to Jeddah and new 3 weekly frequencies designated for Medinah. JED - frequencies will be increased immediately from daily A340s to 12 weekly flights using a mixture of A340s and AB6s. MED - 3 weekly nonstop flights to be operated with an A 320 effective 16JUN 2011. In addition, KU too confirmed that it will be relaunching services to IST-Istanbul effective 16JUN three times per week using an A320. BOM - capacity increased from daily A 332s to daily A 333s. JNB - frequencies and capacity increased from 5 weekly A 332s to daily A 333s. JFK - capacity reduced from 11 weekly B 773ERs to daily B 773ERs + 4 weekly A 332s. ICN - frequencies increased from 6 weekly to daily nonstop flights using an A 332. CPT - frequencies and capacity increased from 5 weekly A 332s to daily A 333s. LAX - frequencies increased from double daily to 18 times per week. SFO - frequencies increased from 10 to 12 times per week. SEA - frequencies increased from 4 to 5 times per week. TXL(Berlin)/DXB - frequencies increased from 3 to 6 times per week using an A332. TXL/BKK - frequencies increased from 3 to 4 times per week using an A332. TXL/HKT (Phuket) - frequencies increased from 2 to 3 times per week using an A332. TXL/MIA - frequencies increased from 2 to 3 times per week using an A332. DUS/BKK - frequencies increased from 4 to 5 times per week using an A332. DUS/YYZ - summer seasonal service goes year round with 3 weekly A 332s in winter. DUS/JFK - summer seasonal service goes year round with 4 weekly A 332s in winter. Korean Air has officially announced that it has placed a big order for 7 additional long haul aircraft to supplement its rapid worldwide expansion strategy focusing on USA and Sky Team hub airports in Europe. KE announced that it has purchased 5 additional A 332HGWs and 2 Boeing 777-300ERs. JED - frequencies increased from daily to double daily using a combination of B 777s and A 330s effective 01JUN. DMM - frequencies increased from triple daily to four daily using A 320s effective 01JUN. RUH - frequencies increased from daily to double daily using a mixture of A 330s and A 320s effective 01JUN. MED - new 4 weekly nonstop flights to be launched using an A 320 effective 14JUN. EBB (Entebbe, Uganda) - new daily nonstop flights to be launched using an A320 effective 02NOV. GYD (Baku, Azerbaijan) - new daily nonstop flights to be launched using an A320 effective 02NOV. BOM/HKG - capacity increased from daily A 332 to daily B 773ER. BOM/BRU/EWR - capacity increased from daily A 332 to 2 weekly B 773ER + 5 weekly A 332. DEL/SIN - capacity increased from daily B 738s to daily A 332. Turkish Airlines has officially announced that it will be increasing its flights to SGN-Ho Chi Minch City, Vietnam effective 30JUN 2011. Currently, TK operates 4 weekly services via Bangkok using an A 340-300. These shall be increased to daily flights via BKK using the same aircraft type with 5th freedom traffic rights. TK too confirmed that it will be increasing frequencies to GYD-Baku to four times daily effective 31MAY using a mixture of B 737s and A 320s. YYZ - frequencies to be maintained year round at 3 weekly. ORD - frequencies reduced from 5 to 4 weekly. MIA - frequencies reduced from daily to 5 weekly. In addition, LH too confirmed that it will be reducing flights to BAH-Bahrain effective 09MAY until the end of October due to crippling demand on their services to the Gulf state. Frequencies will be reduced from daily A 333s to 5 weekly with all of them operating via DMM in both directions. Gulf Air has revealed on the GDS that it will be increasing its services to Istanbul effective 15MAY 2011 by adding an additional 5th weekly flight to the route as well as increasing capacity from 4 weekly E70s to 5 weekly A320s. The schedule will be a split one which would allow all the key high volume markets to get connected with IST in both directions via its BAH hub. SYZ - new twice weekly nonstop flights to be launched effective June 5th using an A 321. These services shall be gradually increased to 5 times per week. MAN - frequencies increased from daily to double daily nonstop flights using an A 332. KHI - capacity increased from daily A 320 to daily A 332 effective May 1st. FRA - capacity increased from 10 weekly A 332s to 6 weekly B 772LRs + 4 weekly A 332s. TUN - capacity reduced from 5 weekly A 332s to 5 weekly A 320s. SEZ - frequencies increased from 4 weekly to daily nonstop flights using an A 320. Etihad Airways has revealed on the GDS that it shall be increasing its flights to PEK-Beijing, China from July 2nd 2011 onwards. Currently EY operate 5 weekly nonstop flights on the AUH-PEK sector using an A 332, however from July these shall be increased to daily services using the same aircraft type. CMB - frequencies increased from 5 to 6 times per week using an A 333. DAR - frequencies increased from 4 weekly to daily nonstop flights using a B 738. MLE - frequencies increased from 5 to 6 times per week using an A 333. PEK - frequencies increased from 3 to 4 weekly nonstop flights using an A 321. BKK - frequencies increased from daily from double daily nonstop flights using an A 321. SIN - frequencies increased from daily to 11 weekly nonstop flights using an A 321. 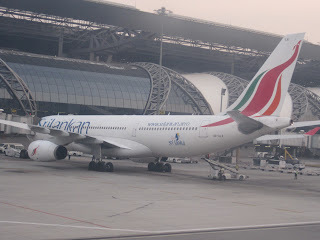 According to the media in Sri Lanka, the national carrier i.e. Sri Lankan Airlines is reportedly in discussions with Boeing to purchase at least a 8-10 Boeing 777s to replace its fleet of Airbus A 340-300s as well to cater for future growth. Though Boeing has been pitching its largest B 773ER to UL, this aircraft type is deemed to be a bit too big for any of UL's worldwide routes hence it is expected that the carrier might opt for the Boeing 777-200ER which would seat approximately 330 passengers in a comfortable 2 class configuration. Egypt Air has officially announced that in order to cut back on costs for 2011 due to a heavy toll that the on going Egyptian political crisis is having on its current flights and for the foreseeable future, it will be leasing out nearly 40% of its fleet to interested airlines for up to a year. 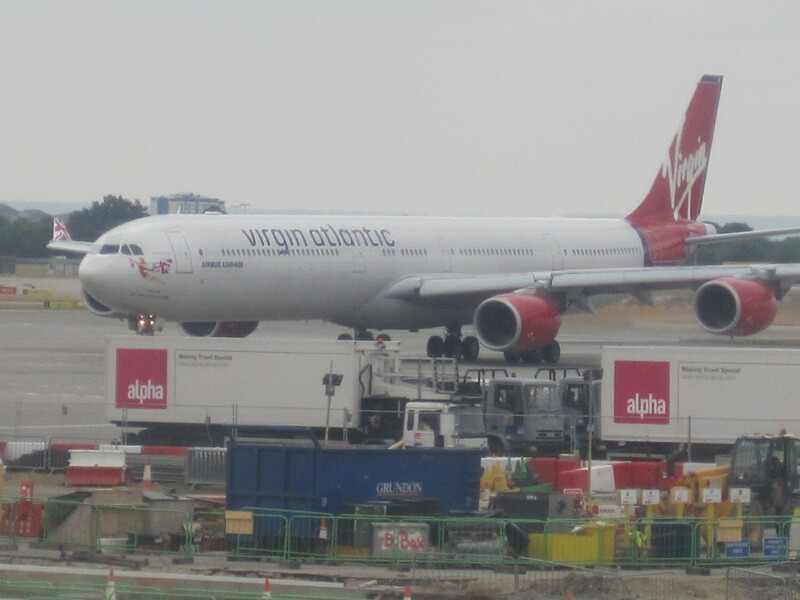 The planes it is keen to dry or wet lease out are A 333s, A 332s and B 773ERs along with few A 321s, E170s and B 738s. Lufthansa has officially disclosed the configuration details of its new Boeing 747-800s that are scheduled to be delivered soon to the carrier. It will seat a total of 386 passengers only with the layout being 8 first class + 80 business class and 298 in economy class. No initial long haul routes have been mentioned by LH but it is expected that JFK, Tokyo and Singapore would be the first recipients. IAD/CDG - frequencies increased from daily to double daily flights using a B 772ER + B 757 each daily respectively. IAD/AMS - capacity reduced from daily B 772ER to daily B 757. EWR/ZRH - capacity increased from daily B 762ER to daily B 763ER. 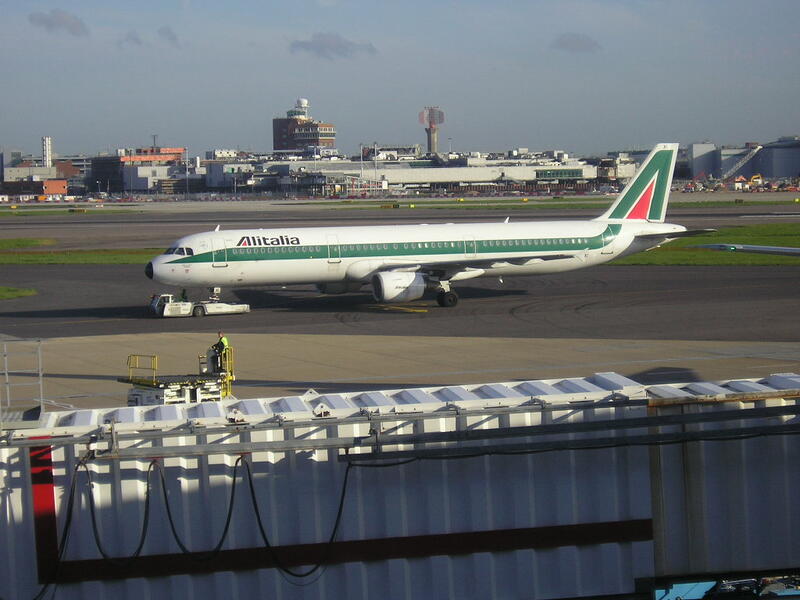 Alitalia has officially announced that it will be embarking on a major long haul expansion out of its FCO-Rome hub in 2012-13 as the carrier takes more delivery of new Airbus A 330-200s already on order with Airbus. AZ has disclosed that the new routes it shall be launching are Delhi, Seoul, Johannesburg and Abu Dhabi. With regards to AUH, it is expected to be a code share with Etihad Airways as part of a broader partnership where by EY flies MXP-AUH and AZ does FCO-AUH. Beyond AUH, AZ will code share on EY's services to Australia, Far East and Indian Subcontinent where as EY would code share beyond FCO/MXP to domestic Italian points + to key offline EU points. Malaysia Airlines has officially announced that it shall be increasing its presence in JED-Jeddah, Saudi Arabia from the on set of the IATA Summer 2011 season. Currently, MH offers 4 weekly nonstop flights between KUL and JED using a Boeing 777-200ER. However from March 27th, frequencies are increased to 6 times per week using a Boeing 747-400 four times per week + twice a week B 772ERs. In total, the capacity increase on offer is from 1128 one way weekly seats to 2000 i.e. 872 more aka 77% increase in capacity. Jet Airways of India has officially confirmed that it has been granted rights to fly nonstop to Amsterdam, Holland from Delhi from the on set of the IATA Winter 2011 season. In addition, in a move that has generated a lot of interest within the aviation fraternity, 9W too has applied to start nonstop flights to New York City from either BOM or DEL from IATA W11. This is in response to the positive feedback that Air India's nonstop services to USA have been receiving from the Indian travelers which has also in turn hurt 9W's performance over the past few months on the BOM/DEL-NYC route. For the nonstop NYC route, 9W would be using a Boeing 777-300ER which can operate without payload issues out of DEL but not out of BOM. It hasn't yet disclosed which airport in NYC it would prefer flying to nonstop but since its current international expansion is more on the lines of flying to Sky Team hubs, JFK would likely get the nod. However, DEL-JFK is already flown nonstop by AI but from BOM its EWR so in order to differentiate itself, one would reckon BOM-JFK being chosen as it has more higher yielding premium passengers flying F & J versus DEL-JFK. BAH - frequencies increased from double to triple daily flights. DOH - capacity increased to triple daily nonstop terminator flights. MXP - capacity increased to 4 weekly A 330s having terminator nonstop flights in both directions i.e. no longer linked with MUC eff June 1st. DXB - frequencies increased from 5 to 6 times daily. BKK - frequencies increased to 10 weekly nonstop flights using an A 332. KUL - frequencies increased from 5 to 7 weekly nonstop flights using an A 332. AUH - frequencies increased from triple daily to 4 times daily. DME - new 4 weekly nonstop flights to be launched using a B 738. KRT - new 4 weekly nonstop flights to be launched using a B 738. Qatar Airways has officially announced that it shall be launching new nonstop flights to VCE-Venice, Italy effective June 15th 2011. QR will be operating this new route using an Airbus A 320. In addition, QR too has confirmed that it shall be increasing frequencies to SEZ-Seychelles effective June 1st from 4 times per week to daily nonstop service using an A 320. MXP - frequencies to be increased from 4 weekly B 773ERs to daily nonstop flights using the same aircraft type effective July 02. TPE - frequencies increased from 101 to 108 weekly flights. JKT - frequencies increased from 18 weekly to triple daily nonstop. In addition at the currently on going Routes America conference, CX has disclosed that it is interested in launching new flights to Dammam, Kuwait and Madrid in the near future as it sees a lot of potential in these markets. American Airlines has officially confirmed that it will be reducing frequencies to DEL-Delhi, India effective May 1st 2011. Currently, AA offers a daily nonstop service using a B 772ER, however from May, it shall be reduced to 6 times per week only using the same aircraft type. KLM has officially announced that it will be launching new flights to EZE-Buenos Aires, Argentina effective Oct 21st 2011. KL will be operating the new services nonstop using a B 772ER. Lufthansa has officially announced that it shall be launching new flights to GIG-Rio De Janerio, Brazil effective Oct 30th 2011. LH will be operating the new service nonstop from its FRA hub using an A 340-300 on a daily basis. Hawaiian Airlines has officially announced that it will be launching new flights to KIX-Osaka, Japan effective July 12th 2011. HA will be operating the service using a Boeing 767-300ER on a daily basis. DXB - frequencies reduced from 5 to 4 weekly nonstop flights. JKT - frequencies increased to 10 times per week nonstop. MNL - capacity reduced from double daily B 773s to double daily B 772s. TLV - capacity increased from 3 weekly A 332s to 3 weekly B 772ERs. GUAM - frequencies increased from daily to 11 weekly i.e. daily B 773 + 4 weekly A 333s.